The Music Box Theatre was built in 1921 by theatrical producer Sam H. Harris to house Irving Berlin's musical revue The Music Box, which was written specificlly for the venue. The Shuberts began acquiring shares in the venue from Harris in the 1920s. When Harris died in 1941, his wife sold half the shares in the theatre to the Shuberts, and half to Berlin. 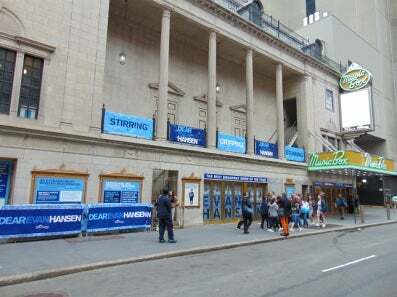 In 2007, the Berlin share of the theatre was sold to the Shubert Organization, who are now the sole owner of the theatre.